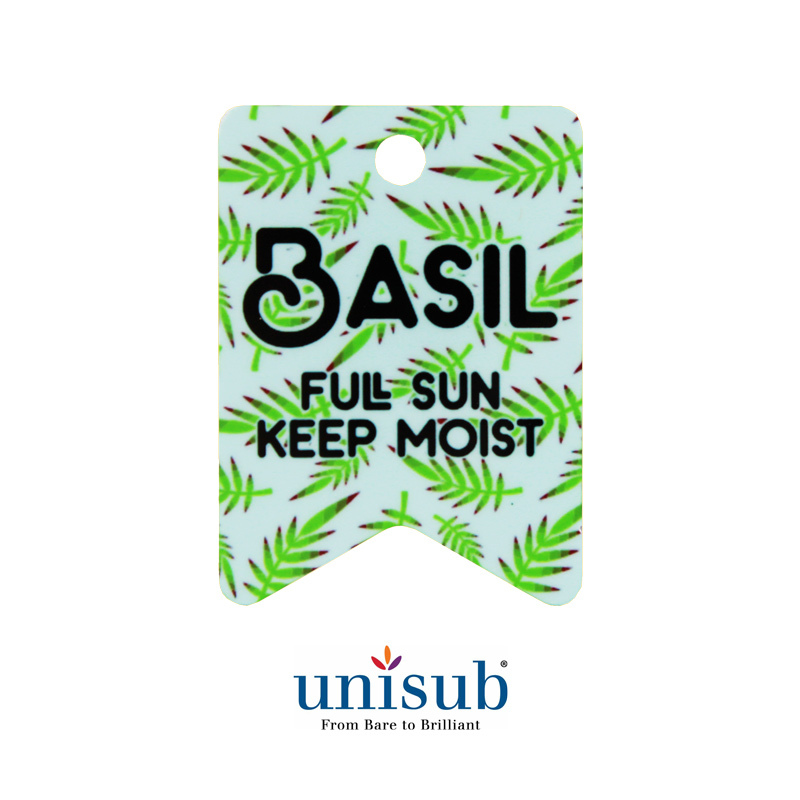 Unisub Sublimation Blank Outdoor Aluminum Bunting Tag - 1.75" x 2.4"
Small Bunting Garden Tag with hanging hole. 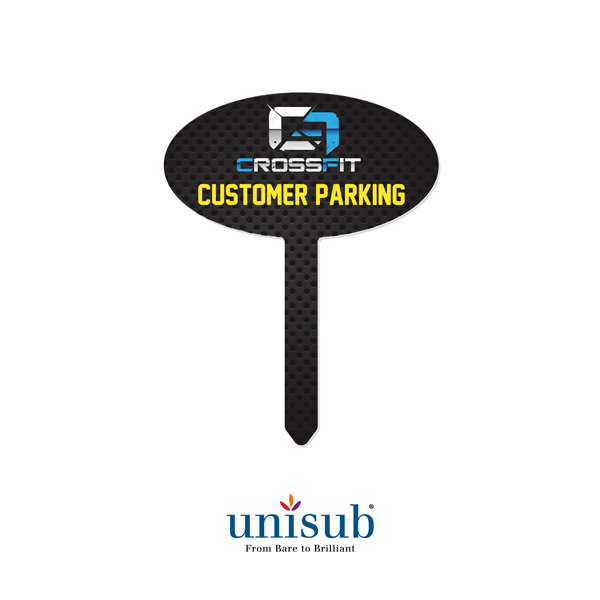 Unisub® EXT Aluminum 1-Sided, Gloss White, 1.75"x 2.4"x .045". No hardware or ribbon is included. Specially formulated outdoor aluminum has been tested to resist wind and impact, making it ideal for outdoor artwork, photography, signage and all types of display. 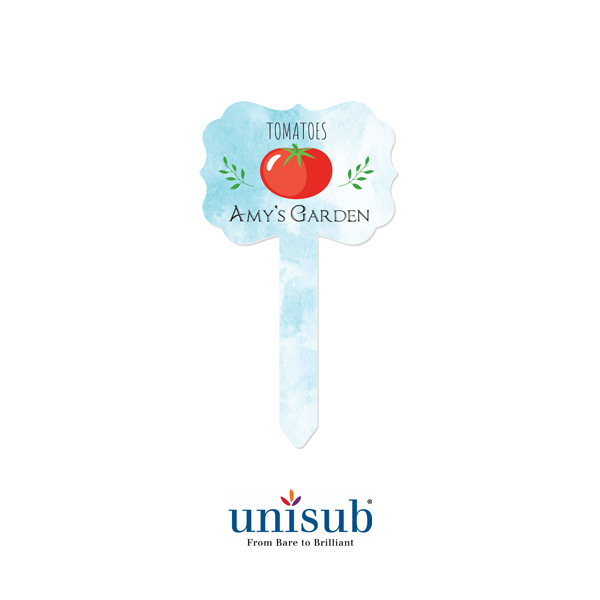 Decorate your yard, garden or potted plant with these new outdoor aluminum tags. 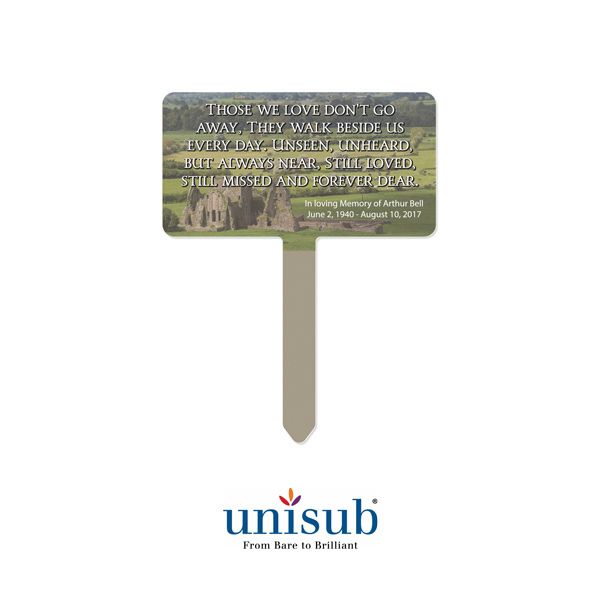 They are UV resistant, easy to clean and have a consistent, high gloss finish. 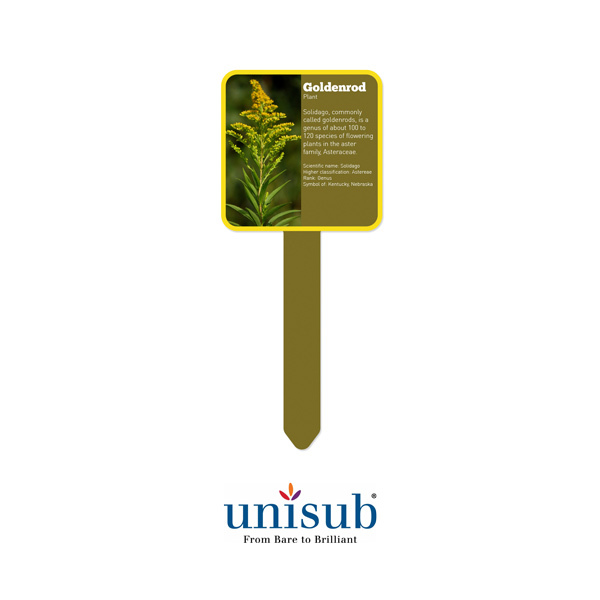 Unisub® sublimated EXT signs are UV resistant when using Sawgrass, Epson or Roland Sublimation inks. Expected life is up to 3 years for sign based art and 2 years for photography based art. Guaranteed. Dimensions: 1.75" x 2.4" x .045"
The importance of using product templates is evident in each step of the production process: designing, printing, and pressing. 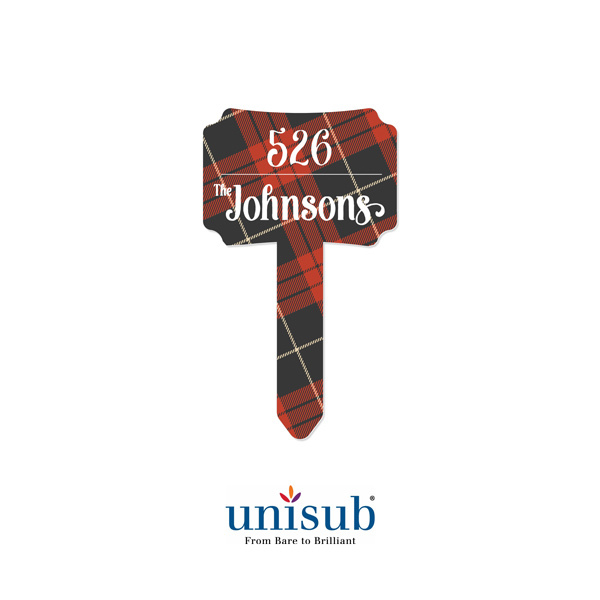 We've taken out the guesswork and created the following templates for you to use with this product. This is a free service to our PartnerNET Members. You must be logged in to your shopping account to download this template. Creative Use for NEW Garden Stakes! 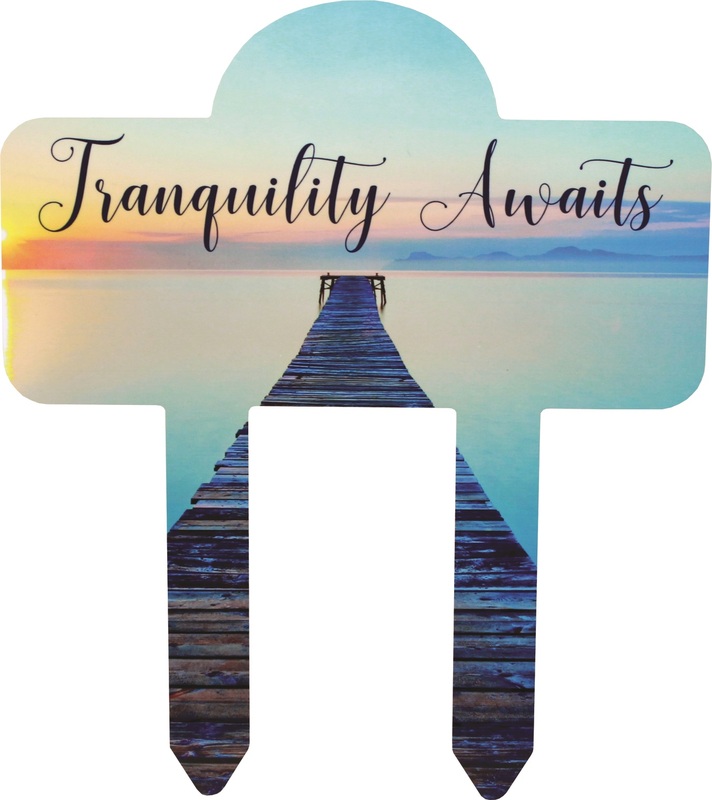 Explore what others are creating with sublimatable products from Condé! Our Client Galleries are an excellent source of inspiration to help you grow your Sublimation Business. Be sure to check back frequently as new images are submitted daily. There are 10 images in our Client Image Galleries for this product.